The compressed air produced in compressors must be dry, oil-free and clean. This is done by air dryers. FILSAN has been manufacturing these filter elements used in the dryers under the name of replacement filter elements. Here, the form of borosilicate and glass micro fiber gives durability and stability to filter elements which increases the efficiency. High dirt holding capacity at high flow rates supplies economical fitration and low energy loses. 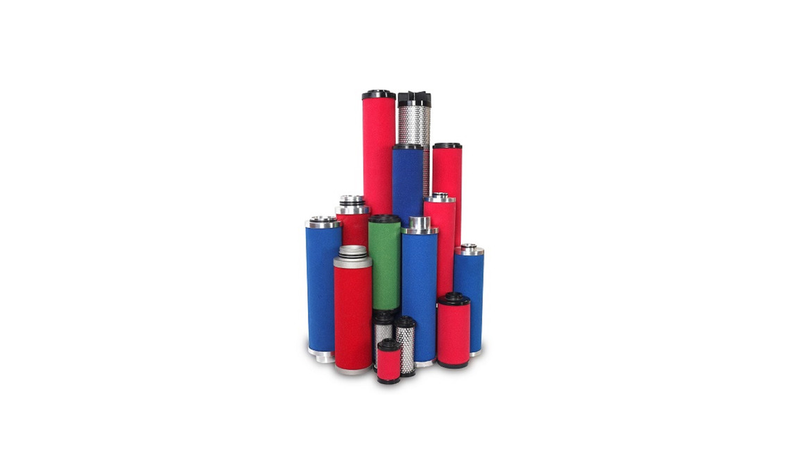 FILSAN replacement filter elements which are the productions of wide research and special design can be utilized in many areas of industry for different applications. These type of filter elements are installed in compressor dryers as filter units made of one or more filters in succession. In the first and the second stages of filtration solid and liquid particules of 1 to 5 microns are retended successively at very low pressure losses. The third stage elements are for high pressures and filters the particules of down to 0.01 micron. Another variety of these filter elements is the ones contain active carbon. By this way, it removes odor and oil vapor particles down to 0,003 ppm. These highly efficient elements are designed to be used in applications of medical and food precessing. Upon request of compressed air manufacturers , special designs or enhanced types of filter elements may also be manufactured.